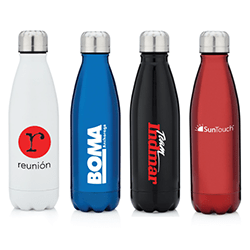 Our bike/fitness bottles provide a useful promotional item for fitness clubs, camps, corporate gatherings, outdoor events, biking and running groups. 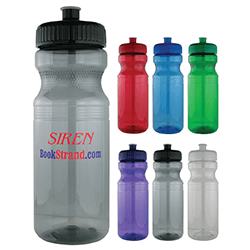 The bottles are supplied with leak proof lids & fit into a standard bicycle or car beverage holder. Molded in the USA with recycled material, BPA-Free, FDA approved and certified. 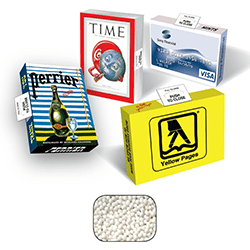 This ecofriendly and enclosable advertising box dispenser comes with 20 to 25 signature peppermints. This is a true advertising billboard with four color process printing on five sides. Our mint boxes are a great promotional product for trade shows, sales person leave-behinds, new product intros, coupons, scratch-off promotions, or business cards. It can be filled with signature peppermints or a variety of breath mints and fresheners. We offer a wide range of coffee mug styles. 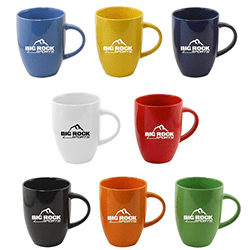 Durable, dishwasher safe mugs proudly display your company logo many times over. These ever-popular, custom printed ceramic coffee mugs look great in any home or office and make excellent customer gifts. This customized stainless steel insulated Thermos vacuum bottle will keep your drink hot or cold for hours! The bottle is made with 18/8 double wall food grade stainless steel, 17oz. The unique cork design lid and base with vibrant shinny coating colors. 10″ Thick x 2.5″ Diameter. 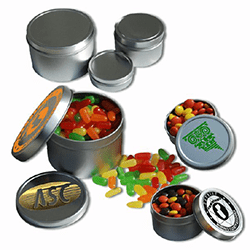 These custom imprinted 6oz Silver Tins can be filled with the candy of your choice. Single color imprint or full color label on the lid available. Your customized container can be filled with your choice of bulk Name Brand Candies. Tin sizes vary from 1″ to 3″ in diameter. These will be the perfect addition to your next office celebration, trade show or business meeting. Seeking a healthy alternative for your next giveaway? A Snack Packs is the answer! Available in 3 sizes. 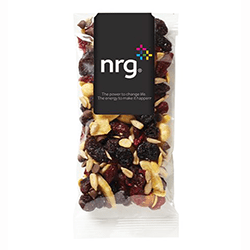 Energy Trail Mix consists of Raisins, Banana Chips, Chocolate Chips, Cranberries, Peanuts, Almonds, Soy Nuts, and Sunflower Seeds. Ingredients and nutritional information are included on each item. Customize the overlapping label with your logo or company message.